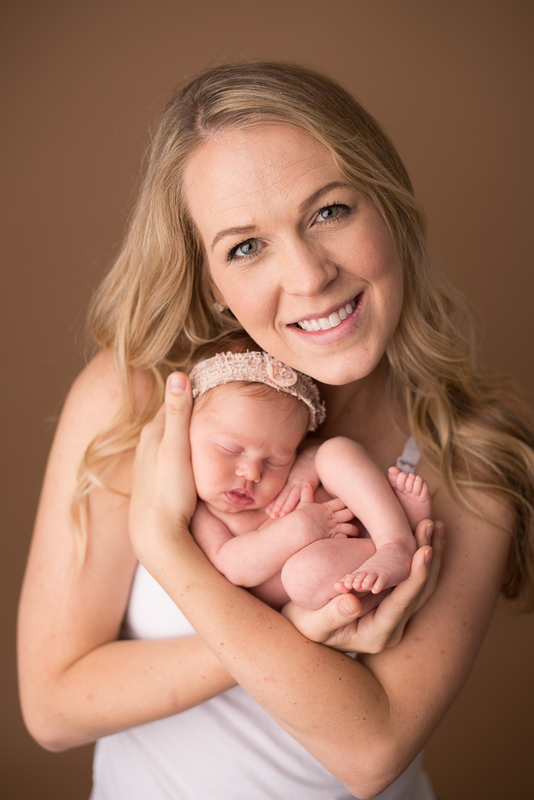 The newborn session takes place within your baby’s first two weeks of birth. Newborns are best photographed between 5-14 days old in order to capture those sleepy, beautiful poses. These sessions typically last 2-3 hours. Props and outfits are included and hand selected to create timeless, unique works of art that are custom designed to be authentic to you. Parents and siblings are encouraged to participate in the session at no extra charge. There are no additional charges for twin or multiples newborn sessions. Other than creating beautiful artwork, health and safety are our number one priority. We want you to be able to sit back, relax and know that your baby will be provided with safe, excellent care. Prints and digital files are purchased separately. Please contact us for current pricing. We recommend reserving your newborn session at least three to four months prior to your due date to ensure availability.